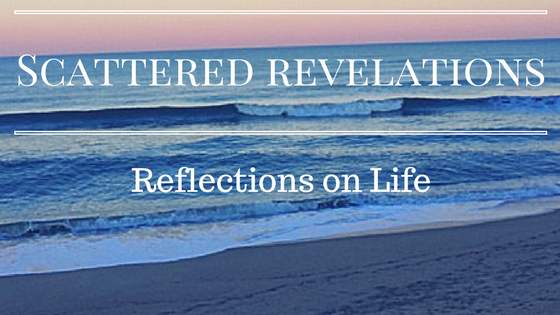 Scattered Revelations: Is This a Test? I was recently talking to a friend that I met at a personal development conference. Both of us have faced some hard times since the conference. Some of the struggle has been as a result of our own actions and some has been out of our control. Both of us are trying to move forward. While we were talking he said to me that the universe is testing us, seeing if we really want a fuller, better life. That the obstacles are a test to see if we will rise to the occasion. I have heard this before. I hear it from people of faith who talk about God testing them to see if they will remain faithful - much like the story of Job. In that story, Satan tells God that Job is only so faithful because he has been given such abundance - wealth, family, a good life. So God allows Satan to send hardship to Job - he loses his wealth, his family, even his health. Yet Job still remains faithful, refuses to curse God. While Job is wonderful story, calling us to explore more deeply why it seems that good people suffer so much. Yet what kind of God intentionally inflicts suffering on the people God loves simply in order to test their faithfulness. That is not a just and loving God, no that is a jealous, small minded God suffering from insecurity. If we take it to the level that God is testing people through war, genocide, famine, and all sorts of unspeakable evil has been attributed to being tested. I understand the appeal of the testing theory. Afterall if I just remain faithful, if I just pass the test then I will be rewarded. After Job was rewarded and protected from further testing. We are told that he had more wealth, more children. It is a satisfying image, a comforting notion that if I just get through, pass the test than I will be rewarded beyond my wildest dreams. There are multiple problems with this notion of testing. First what kind of God would intentionally inflict suffering on the people God created and loves? That is not a God worthy of worship, certainly not a loving, caring God. Even if we just say it is the universe, the universe is seeing if we really want it. That makes God or the universe a puppeteer manipulating people for their own needs and pleasure. Also it completely lets human beings off the hook for their own bad behavior. War, famine, poverty are not random "acts of God" they are the direct result of human choices and actions. We let people off the hook when we attribute it to God or nature or the universe. I don't know why I have experienced some of the things that have happened in my life. Anymore than I know why I was blessed to be born in a loving family, in a free country, in a comfortable life and received an amazing education. Most of this I didn't earn - it was a result of the fact that I was born into the family, in the country, in the time I was born. So if I didn't earn so many of the things that have brought me joy and love and fulfillment, what makes me think that my suffering is part of some grand plan or big test that will result in great reward? So no this isn't a test. This is life. It isn't always fair. We often receive great blessing that we don't deserve. We often undergo great suffering that we also don't deserve. Millions suffer much worse than me, undeserved. Their suffering at times is, at least in part, because of the privilege I have enjoyed for so much of life. God weeps with us in our suffering and rejoices in our joy. God is with us, not a puppeteer, manipulating lives. God wants all of us to live in joy, in love, not just some of us, not just the faithful but all of us. God's love is universal. Yet God is not all powerful for then we could not truly have free will. We could not truly be co-creators with the Divine. So I guess I will not always know why bad things happen, or why things are hard. It is just a part of life. My mother always told me that life is not fair and for years I have railed against that believing that life should be fair. Maybe it should be, but all too often it isn't. So maybe my job is to do my part to make it a little more fair and a little bit easier for others.